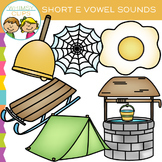 This is a set of 5 unique clip art designs covering the short e vowel sound. 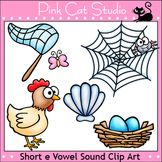 The possibilities are endless for what you can create with these designs. 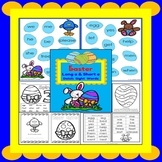 They will come in handy for almost any product you design due to the variety of images.The designs are: hen, nest, net, shell, webThis product is a . 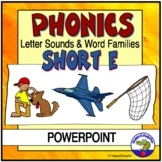 Cut and Paste Long E and Short E pictures under the correct vowel sound and use the word bank to write the words beside the picture. 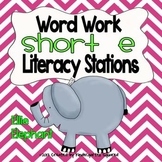 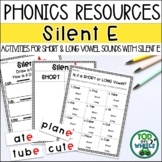 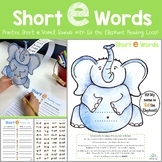 This activity distinguishes the short and long vowel sounds when the final -e is added at the end of the word. 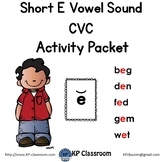 Students can also build ice cream cones by putting the ice cream on top of a long vowel vone or short vowel cone. 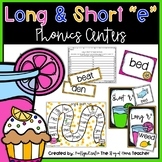 Long E Short E Sort E-E-E! 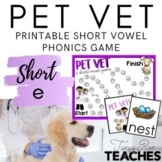 Independent practice- students will sort words according to the vowel sound.